It's become a tradition now for Mark Summers to illustrate the seasonal reading covers of The Weekly Standard. Over the years, he's created some great portraits of famous authors in quirky situations (Poe skiing, Twain surfing... nothing is sacred). 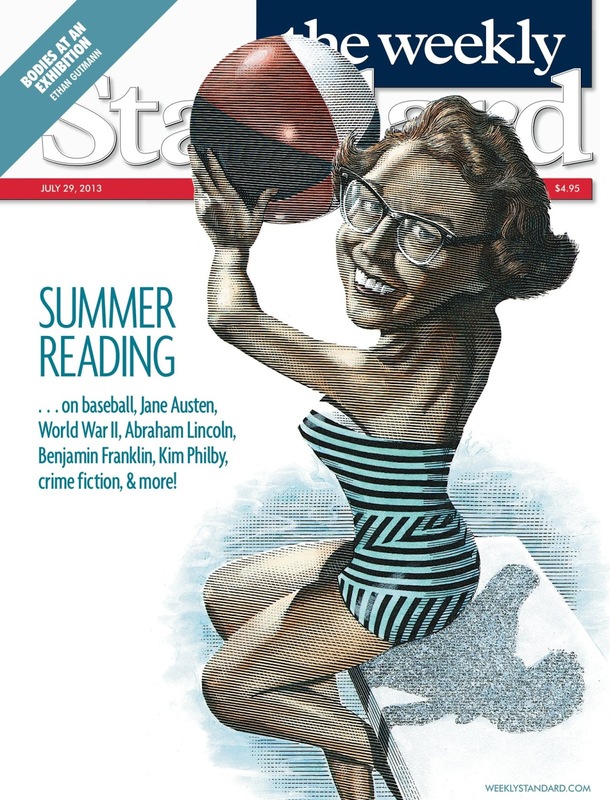 Here's the new Summer Reading issue featuring Flannery O'Connor playing by the poolside. Take a look at our previous blog where we posted some of his past Summer/Winter reading covers here.